Love hunting for amazing preloved, vintage, and unique treasures? Discover the joy of local finds! 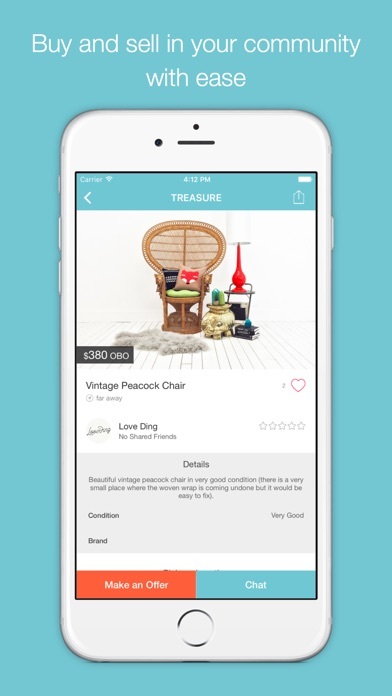 Buy and sell around you easily with Trove. Have something of your own to get rid of? List items fast. Chat and coordinate in-app. 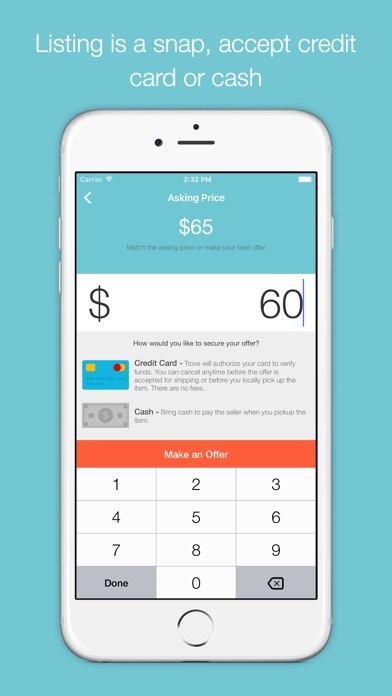 Accept credit cards or cash. Already sell on Ebay, Craigslist, Etsy or other marketplaces? Tired of worrying about returns and shipping? Use Trove to connect with others in your local community. Trove was featured on US News & World Report, Apartment Therapy, Houston Pulse Magazine, Austin Home, Country Living, and many other media outlets. HOW IT WORKS * Listing your items is free and easy – be as short or descriptive as you need to grab buyers’ attention. * Answering decor questions from our community is fun! 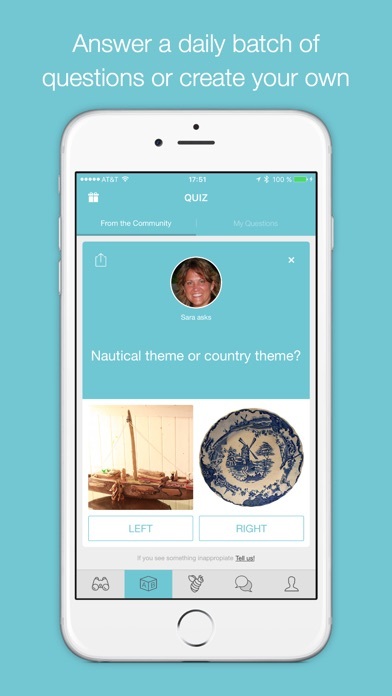 You can also create your own questions and find out what the community and your friends think. 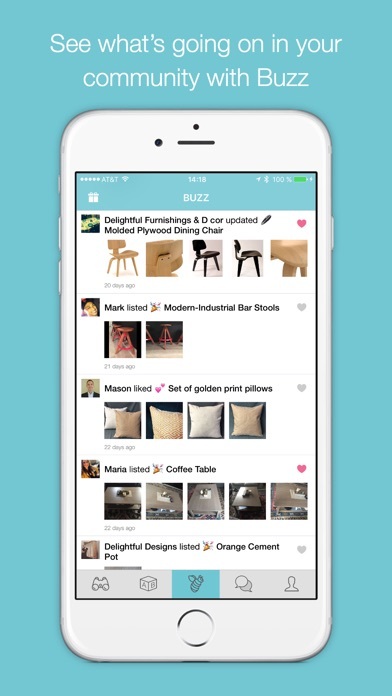 * You can share with your friends and see how you’re connected to buyers and sellers. * Learn about other users from their profile and read reviews from their past transactions. * Chat privately with other users in Trove so you never have to share your email address or phone number. * Seller can accept credit cards to have your money direct deposited to your bank or Venmo account, or choose cash on pick-up if you prefer! * Leave feedback about the buying or selling party. Happy hunting! If you enjoyed Trove, please take a minute to leave a nice review: it really helps. Since using the app to sell I’ve been contacted by sketchy people asking for address and personal info to “mail” payments. Or make an offer with supposed guaranteed payment but the offer is pulled back before able to see it. They never respond to msg so it seems like fishing. Same person will contact again days later with same thing. There in no way to report problem users. The notifications from the app about a msg comes hours later like middle of night early morning. The app will automatically delete your ad after a week or two. Offers may come in but won’t be ever able to received because item was delisted by app. Easy way to find good stuffs with a loyal price! This is a wonderful app! I can now get rid of my nieces and nephews outgrown clothes! Shows you great description of what a seller is selling and everything is fantastic! Why can't I load a profile pic tho??? I've been using this app for quite some time now. I thought its just right to post a review. This app is just too good guys! Just download it without thinking twice. 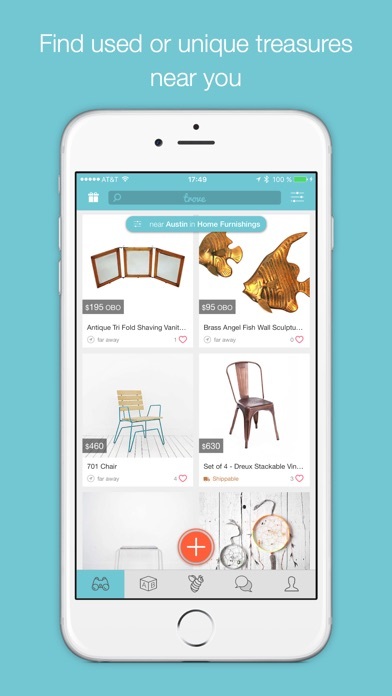 It's a great marketplace to buy awesome things. I used the filter option to take away things that are shippable and only things that were near my location. No luck. All that kept popping up was shippable stuff. More by Trove Tech Inc.